Looking for an affordable way to get into something elite and all-electric? Here is a look at why the 2018 Tesla Model 3 is your best bet. I shouldn't have rented this car to drive to SEMA. Am I the Only One Who Thinks the Tesla Model 3 Is Ugly? The Tesla Model 3 has a face only an Elon could love. I took the above photo last week. What it depicts, if you look closely, is three Tesla Model 3 models right in a row, driving behind one another on the highway. These weren't cars from a dealership being moved from one location to another, nor were they Tesla corporate vehicles driving together. These were just three random Tesla models that I just happened to see next to one another. Such is the world of the Tesla Model 3. In California, the Model 3 is now officially everywhere, to the point where I truly find it hard to believe these aren't the most popular cars on the market. I see dozens of them every single day. In the past, this was only true in the San Francisco Bay Area, but it recently became true in the rest of the state, too. They're everywhere. And I've noticed something as I've traveled throughout the country in recent months: they're everywhere ... everywhere. Yes, the Tesla Model 3 has finally spread its wings and flown across the country, and I see them, many of them, in pretty much every major city I visit. I was in New Orleans a few weeks ago, and they're common there. Same goes for the East Coast. I can only assume they're also reaching major cities in the Midwest in large numbers, too. The thing about the Model 3 is that, despite Tesla's widely reported production constraints, it really appears to be getting around. 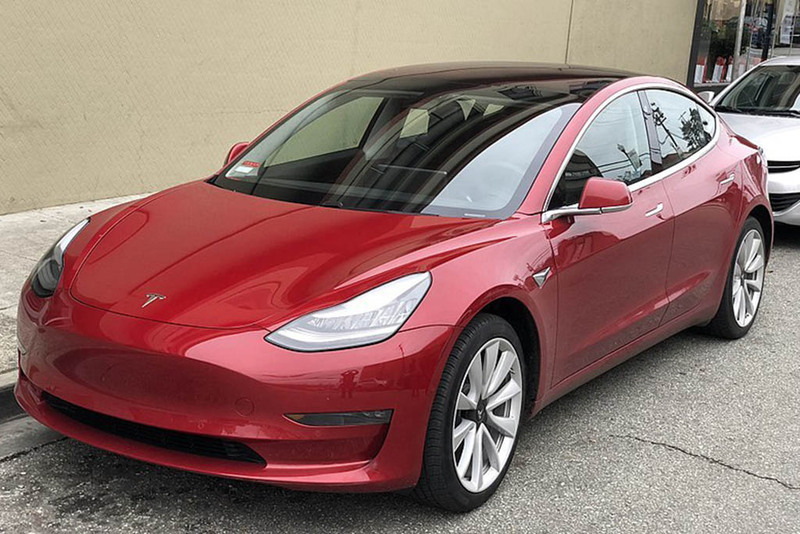 I put up one of the very first full reviews of the Tesla Model 3 almost exactly one year ago, and back then there were basically zero on the road -- now it's a car you don't even look at twice when you get up behind it. It's amazing how fast this car has gone from "cool" to "common" -- though if you're into EV technology, as I am, than it's still pretty cool.